This excellent report has been professionally converted for accurate flowing-text e-book format reproduction. 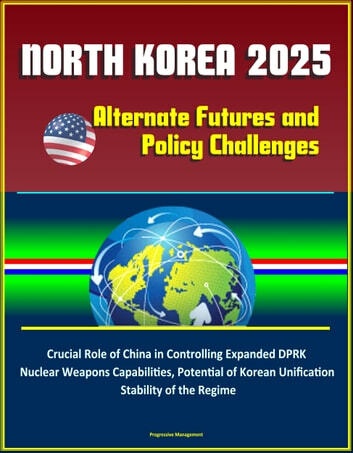 National Defense University (NDU), the National Intelligence Council (NIC), and the Defense Intelligence Agency (DIA) held a symposium in November 2015 that brought leading experts together to explore four alternative futures for the Democratic People&apos;s Republic of Korea (DPRK, also known as North Korea). The futures were: 1) A Status Quo Peninsula in a Changing Northeast Asia; 2) Korea Reunified; 3) A Reforming DPRK; and 4) The DPRK Must Be Stopped! This report summarizes key findings from this non-attribution symposium, which focused on the interests and potential actions of external powers rather than DPRK internal dynamics. 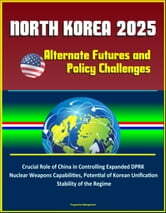 Key Findings: All the external powers are risk-averse, constrained by domestic politics, and reluctant to use force even when confronted with egregious North Korean behavior. North Korea has become skilled at playing external powers against each other and at using provocations to exploit this risk-aversion. China&apos;s role is critical: it has the ability to topple the DPRK by cutting off economic assistance, but no interest in doing so since regime collapse would remove a buffer, create refugee flows into China, and reduce Beijing&apos;s ability to shape Korea&apos;s future. China ultimately prioritizes stability over nonproliferation. The "status quo" is not static—it involves a trajectory with increasing North Korean nuclear weapons capability and longer-range delivery systems. There is a sense of dissatisfaction with current U.S. policy, which is permitting North Korea to enhance its nuclear weapons capabilities and extend the range of its delivery systems. However, alternatives have significant risks, high domestic political costs, and/or limited prospects for success. North Korea is pursuing both expanded nuclear weapons capabilities and economic reforms under its byungjin policy. The logic of the Six Party Talks is to make Pyongyang choose one or the other, but external powers are unwilling to confront the DPRK and force a choice.